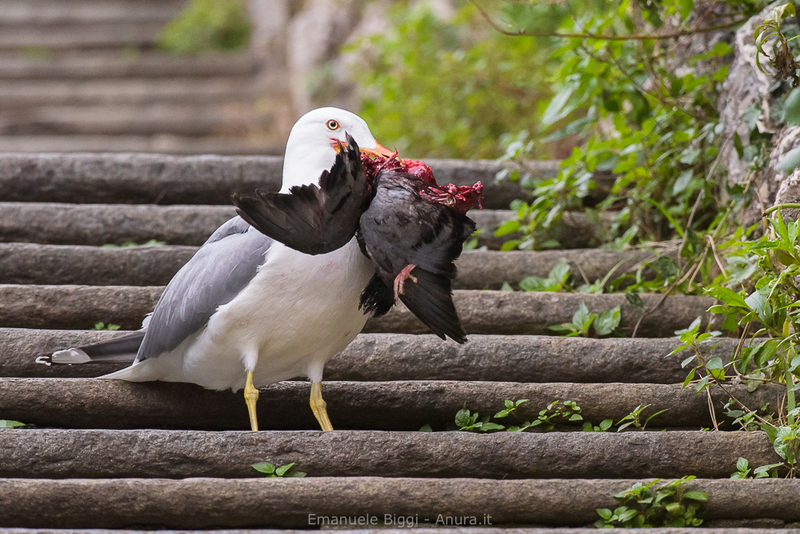 Welcome to the (city) jungle one would sing by witnessing such behavior of a yellow-legged gull (Larus michaellis) preying and eating a feral pigeon (Columba livia). 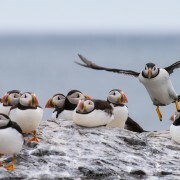 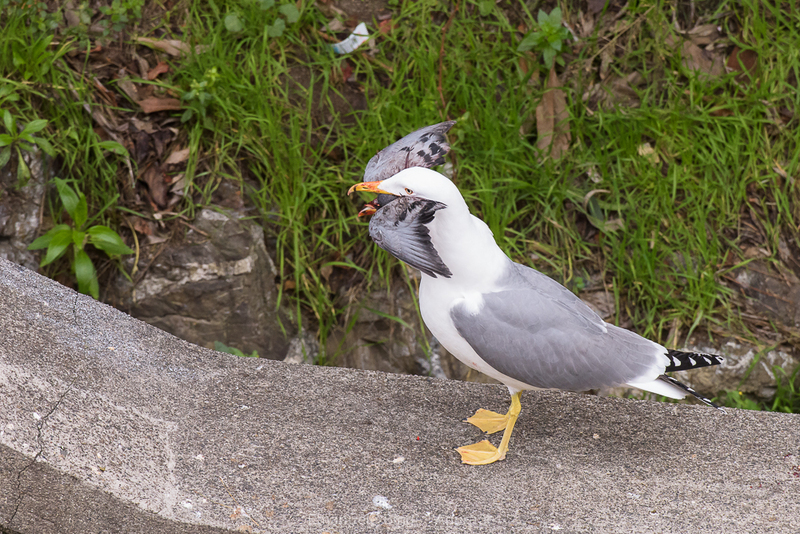 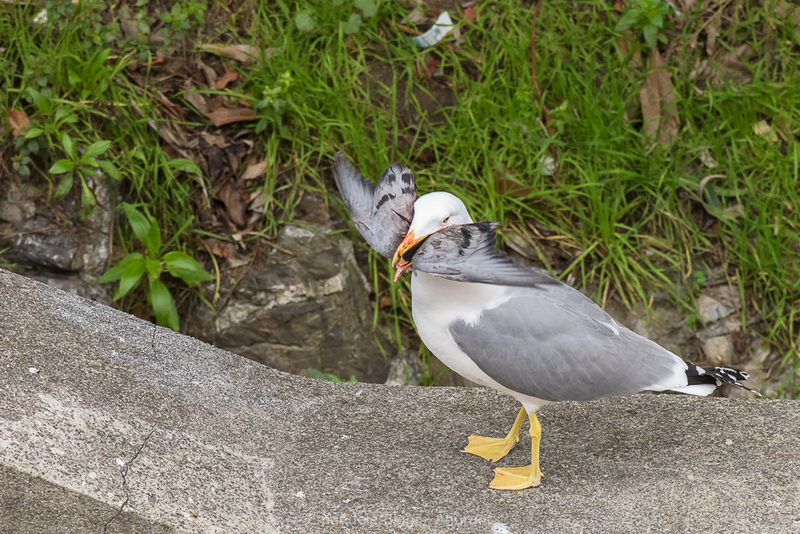 We’re used to see raptors or peregrine falcons preying even inside big cities, but there are many reports of gulls eating other smaller birds and it’s not an uncommon sight indeed. 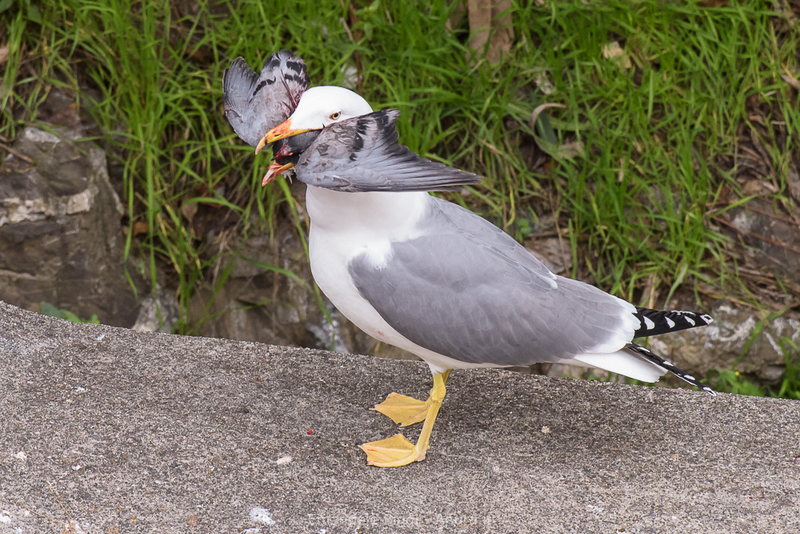 I still remember a great black-backed gull (Larus marinus) in Isle of May (Scotland) preying on a guillemot chick some years ago. 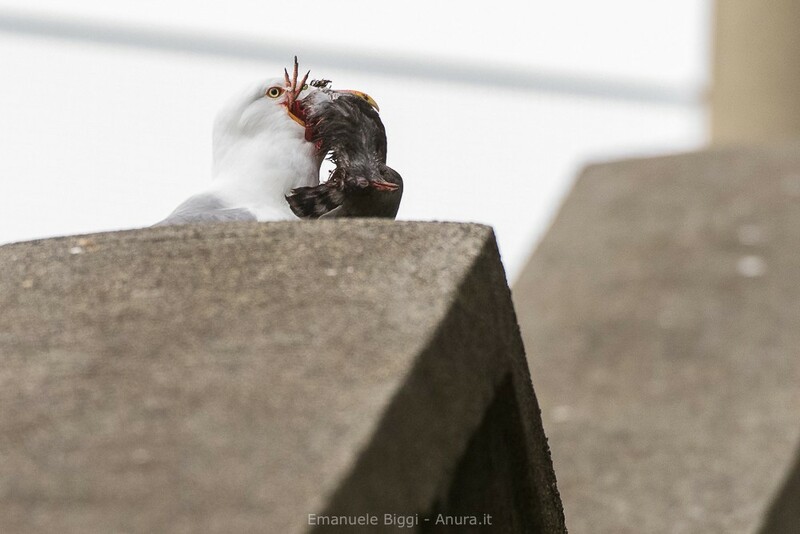 Even the behavior shown in the images below, photographed in front of my home in Genoa (Italy), happened at least two more times in front of my eyes before I was able to get my camera in time to get some shots. 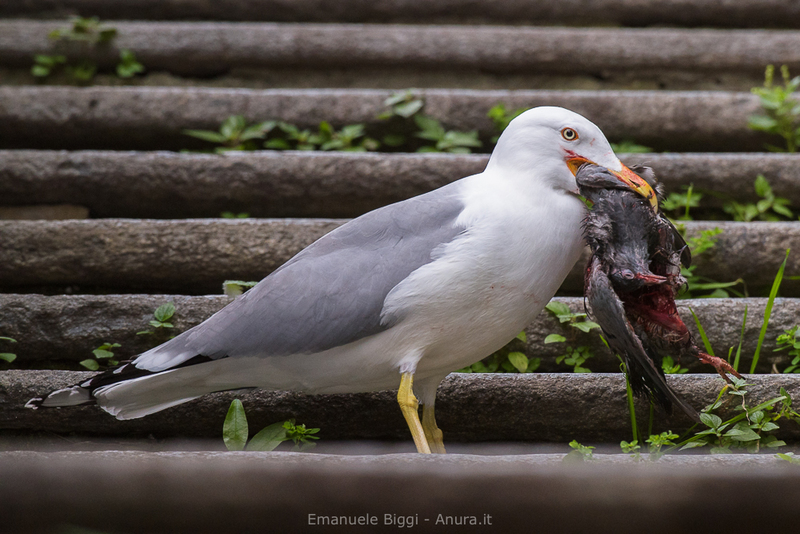 Luckily enough, a friend coming here for work was able to witness the predation going on and called me in time to take some shots from my window, then down in the street, before the “raptor gull” decided to fly away in a calmer spot to end its feast. 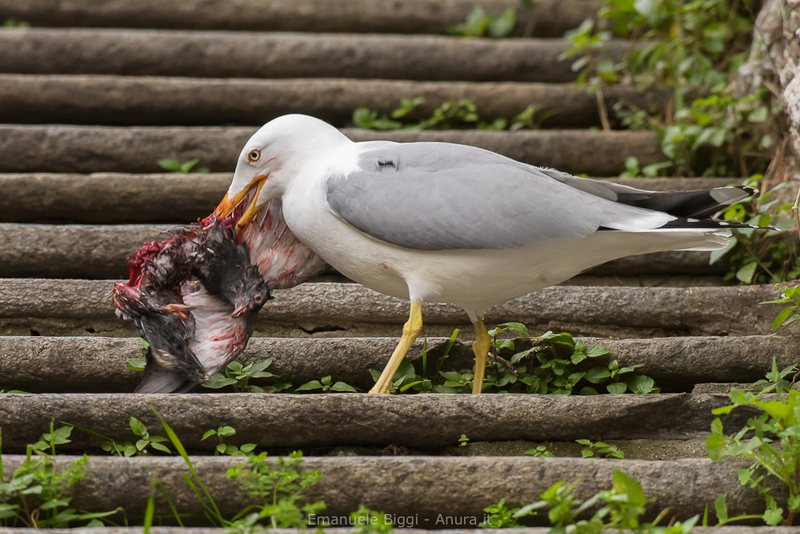 The first images are shot while it was trying to unsuccessfully swallow the gull from behind, with the prey’s wings stopping the process and forcing the gull to spit it out again (while I was running down the stairs on hyper-speed mode with my camera). 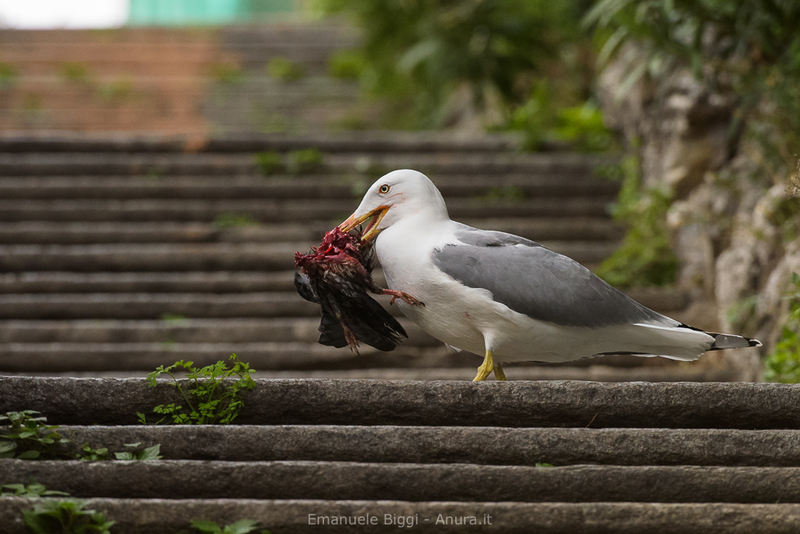 The high number of feral pigeons living on the walls around my home is a true feasting ground for the highly dominant and opportunist gulls that sometimes prefer fresh meat instead of trash bins remains or dead fish.